At the heart of the regeneration proposal to replace the Heygate Estate at Elephant and Castle sits Elephant Park; a new public open space. 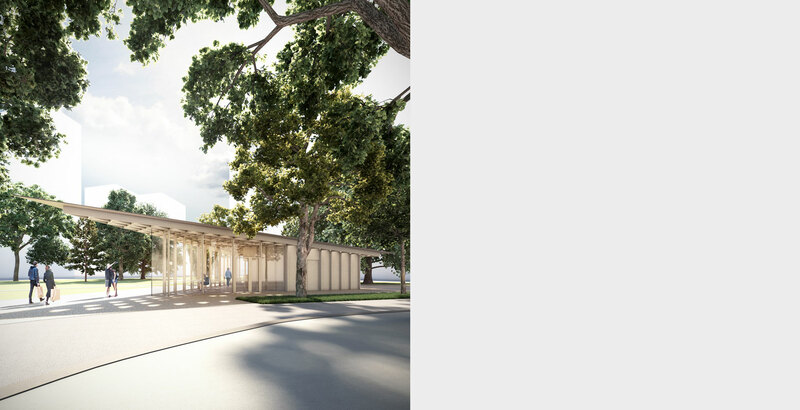 This design proposal is for a new pavilion incorporating café and WC facilities that will be a focal point for the park. 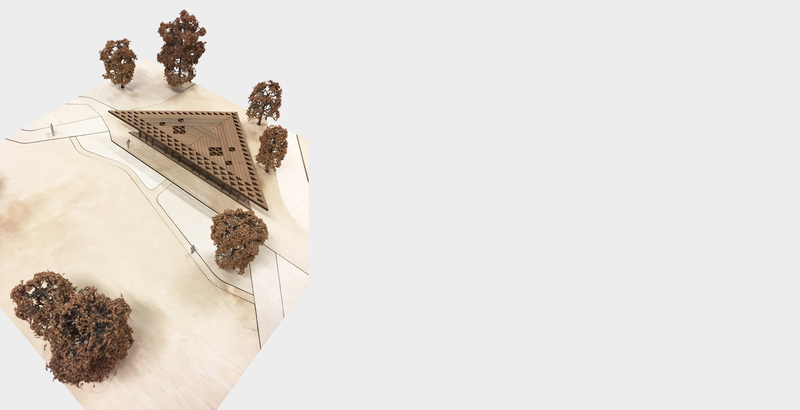 The triangular form of the pavilion responds to the tripartite nature of the site; addressing the park, play area and street respectively. 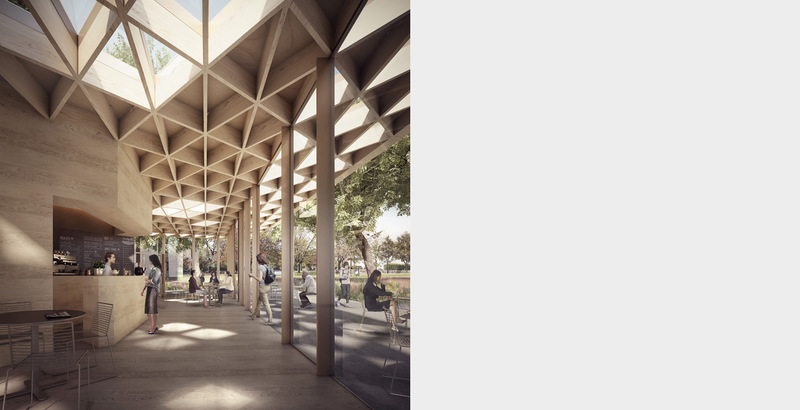 The roof has been designed to appear as a floating plane to maximise the relationship between the café and the surrounding park with rooflights that provide a dappled light through the structure to the space below. 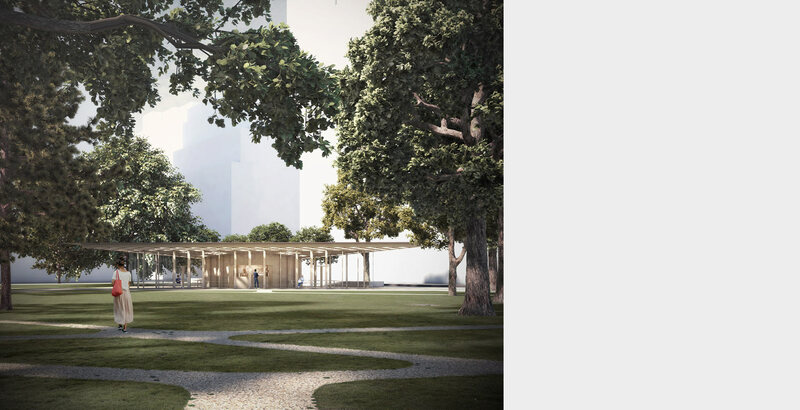 The building has been designed using engineered timber as a lightweight, sustainable product that can be largely constructed off site.